This study shows how Indonesian’s competitiveness of the main export commodities after the implementation of ASEAN-Australia New Zealand Free Trade Area (AANZFTA) is. Controversy whether a country will gain from trade liberalisation or not is proved by the results of this study. Using two analysis tools which are compared, Revealed Comparative Advantage (RCA) dan Normalized Revealed Comparative Advantage (NRCA), it is concluded that Indonesia gains from AANZFTA. The main commodities of Indonesia which have high competitiveness in the market of ASEAN and ANZ are oil and gas i.e, natural gas, petroleum oil and coal, and non-oil and gas i.e, crude palm oil and cigarette. Although it gains, it needs to be alert on the loss since there is a tendency of competitiveness decresence for Indonesian commodities in ASEAN and ANZ market. Indonesia is expected to do inovation and to develop sustainable products offering high competitiveness and value added in the fututre. Products related on sources of renewable energy are potentially recommended. World Intregated Trade Solution [internet]. (2018). 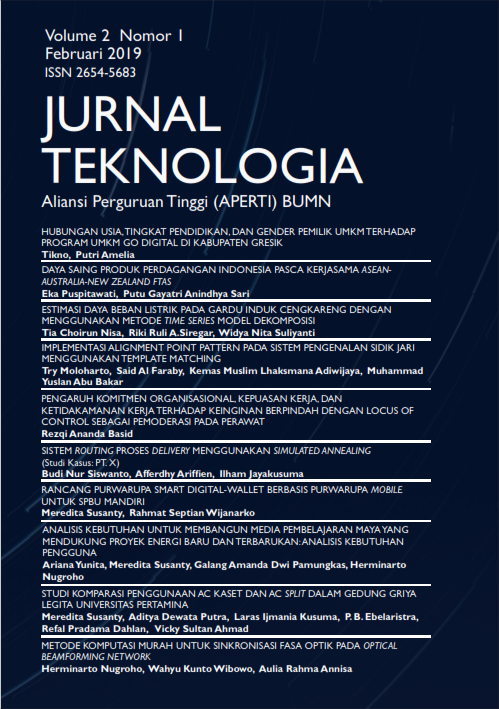 [diacu pada Februari 2015]. Tersedia pada http://www.wits.worldbank.org. Kementerian Perdagangan. (2013). Kajian Potensi Pemanfaatan Perjanjian Perdagangan Barang dalam Kerangka ASEAN-Australia-New Zealand Free Trade Area bagi Produk Tertentu. Jakarta (ID): Publikasi Kemendag. Qi, Chaoying and James Xiaohe Zhang. (2018). The economic impacts of the China-Australia Free Trade Agreement - A general equilibrium analysis. China Economic Review, 47 (2018) 1–11. Balance, R.H., H. Forstner,T. Murray. (1987). Consistency Tests of Alternative Measures of Comparative Advantage. Review of Economics and Statistics, 69(1):157-161. Hillman, A.L. (1980). Observations on the Relation Between Revealed Comparative Advantage and Comparative Advantage as Indicated by Pre-Trade Relative Prices. Weltwirtschattliches Archiv, 116: 315-321. Bowen, H. (1983). On The Theoretical Intrepretation Of Indices Trade Intensity And Revealed Comparative Advantage. Weltwirtschattliches Archiv, 119: 464-472. Deardoff, A.V. (1994). Exploring The Limits of Comparative Advantage. Weltwirtschattliches Archiv, 130: 1-9. Hoen, A.R. dan Oosterhaven, J. (2006). On the Measurement of Comparative Advantage. Ann Reg Sci, 40:677–691. Hinloopen, J dan C van Marrewijk . (2001). On the Empirical Distribution of the Balassa Index. Weltwirtschattliches Archiv, 137: 1-35. Benedicts L.D., Tamberi, M. (2004). A Note on the Balassa index of Revealed Comparative Advantage. Working Papers Dipartimento di Economia, Universita’ Politecnica delle Marche. Yu, R., J.Cai, dan Leung, P.S. (2009). The Normalized Revealed Comparative Advantage Index. Ann Reg Sci, 43: 267-282. Sanidas, E. dan Shin Y. (2010). Comparison of Revealed Comparative Advantage Indices with Application to Trade Tendecies of East Asian Countries. Working paper the 9th Korean and the World Economy Conference. Incheon [KR]. Mulligan, G.F. dan E. Schmidt,C. (2005). A Divergence Statistic for Industrial Localization. The Review of Economics and Statistics, 87(4): 635-651. Mack, E., Grubesic, T.A., dan Kessler, E. (2007). Indices of Industrial Diversity and Regional Economic Composition. Growth Change, 38:474-509. Kementrian Perdagangan. (2010). ASEAN –AUS-NZ FTA Latar Belakang dan Manfaat [internet]. [diacu pada Februari 2016]. Tersedia pada http://apidkijakarta.weebly.com/uploads/4/2/6/8/4268839/highlights_aanzfta.ppt. The United Nations Commodity Trade. (2017). United Nation Statistics, United Nations Commodity Trade (UNComtrade) Statistics Database [internet]. [diacu pada Februari 2017]. Tersedia pada http://unstats.un.org/unsd/comtrade8.